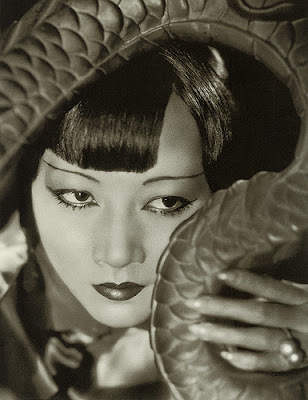 I had the great pleasure to make my programme on Anna May Wong, Hollywood's first Chinese screen legend, in 2008 for broadcast on BBC Radio 4 in January 2009. It's repeated on BBC Radio 4 Extra tomorrow, Wednesday 16th March at 06:30 and 13:30, then on iPlayer for 30 days. Anna Chen writes and presents A Celestial Star In Piccadilly, a half-hour profile of Hollywood's first Chinese movie star for BBC Radio 4. First Broadcast 11:30am, Tuesday 13th January 2009.